This is a brand that I am super excited to introduce, so I’ll just cut right to the chase. Naturalmente is another brand new to the UK, and formulate Organic and Natural Shampoos and Conditioners using an aromatic blend of botanicals. The reason I’m so enthused about this brand is that they seem to tick all of the boxes for guilt-free haircare. 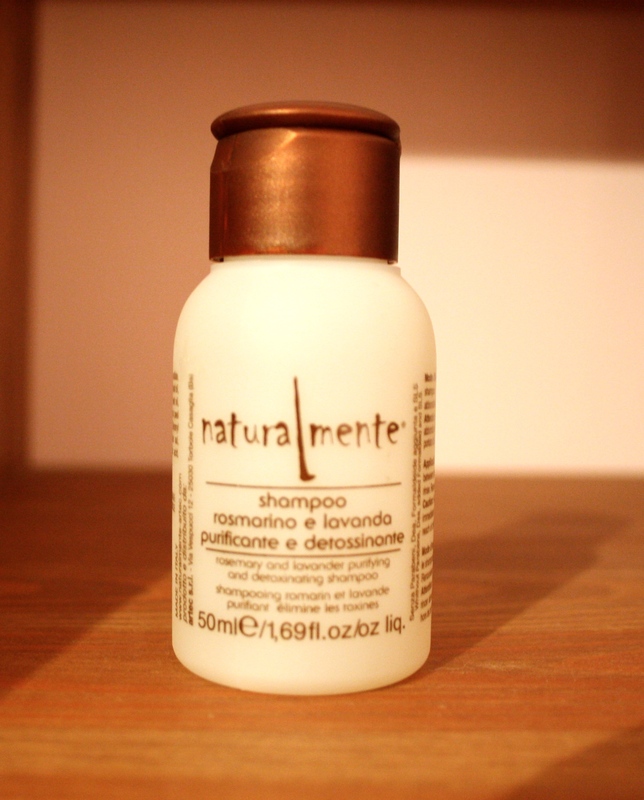 Created back in 2004 by top Italian hairdressers Brigida and Domenico Tomaselli, Naturalmente was inspired by the natural healing powers of aromatherapy. Naturalmente refuse to use: Parabens, Formaldehyde, Diethanolamine, Sodium Lauryl Sulfate (SLS), Sodium Lauryl Ether Sulfate (SLES) or synthetic perfumes and promise that their packaging is 100% biodegradable (and also toxin free if it’s burnt), leaving minimal impact on the planet, which is right up my street. I’ve been testing their Rosemary and Lavender Shampoo* and their Yogurt and Millet Conditioner*, here’s what I think! Now, those of you that follow my blog will know that I’m a HUGE fan of the Liz Earle Botanical Shine Shampoo (review here), and it takes a lot to steer me in a different direction, though I did feel in the mood to try something a little different, and really fancied putting this to the test. Rosemary & Lavender are two of my favourite scents in the world; Rosemary simulates the brain, and gives us extra bursts of happiness and energy when we need it most, and Lavender is well known for it’s antibacterial and calming properties, so a match made in heaven really. This product has been formulated especially for those with oily scalps or problems with dandruff, and I have got to say that it does keep my scalp really balanced throughout the day. Having combination skin means that my hair tends to get oily very quickly, certainly overnight, but this shampoo helped me to feel fresher throughout the day which was fantastic. Despite this, I am still sat on the fence with this shampoo. I found that I had to use double the amount I would normally use as it almost refuses to foam up, meaning I didn’t feel like it was working very hard on my hair, which is fine as it’s a very natural shampoo, but I would be worried about the value for money if I purchased a full-size bottle. 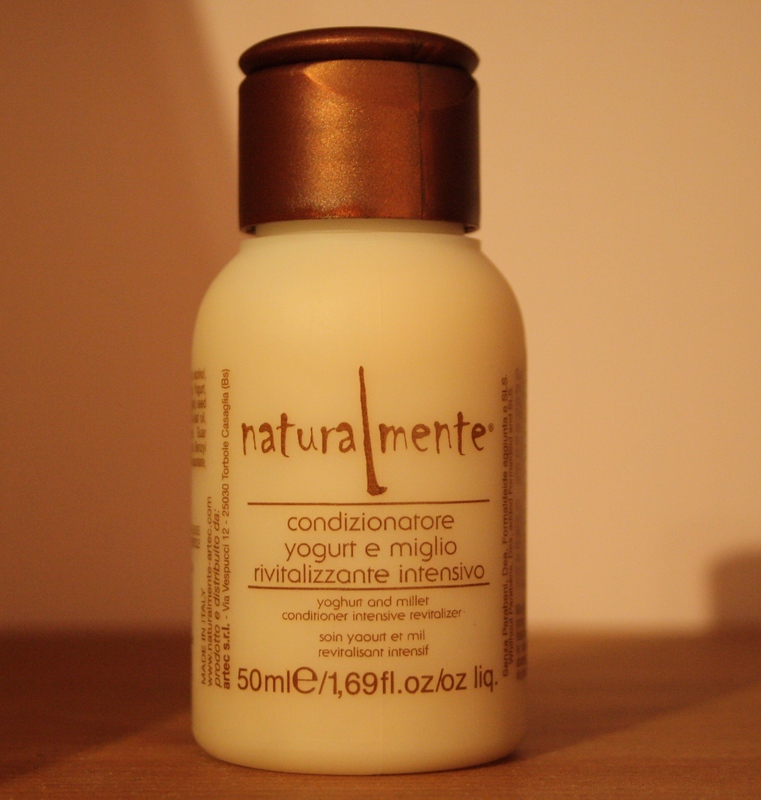 Saying that, even with all of the wonderful organic ingredients, Naturalmente is still a very affordable luxury, and this bottle retails at £9.00 for 250ml. This conditioner is especially designed for those that struggle with dry, damaged or dull hair, which unfortunately is a category I fall into. Having long hair is always tricky, it becomes hard to tame, and is more prone to tangles and environmental damage. 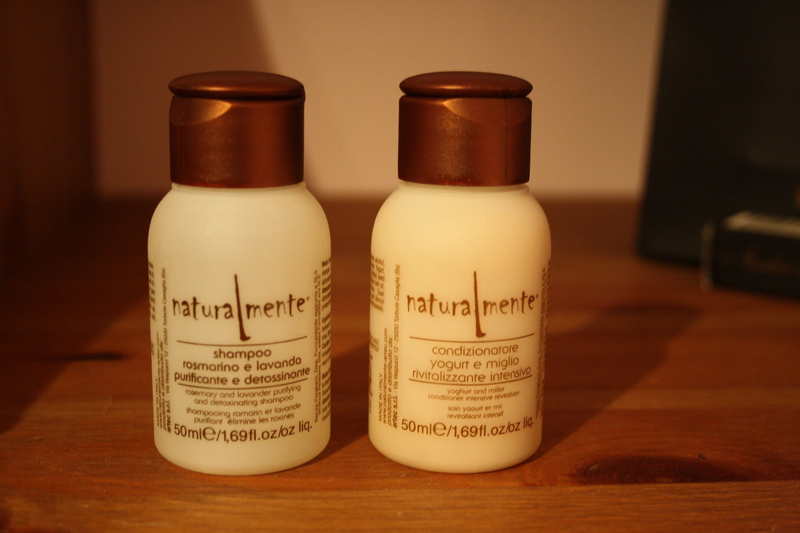 I have got to say that this conditioner has been fantastic at helping to restore shine to my hair and has certainly made it feel really nourished and well looked after. The scent is very unusual – it smells sort of like biscuits, which does take some getting used to, but is by no means unpleasant. I haven’t seen millet used in hair care before, but millet is rich in protein which helps to restore your hair’s health, it also can help to promote hair growth, so would be fantastic for those that suffer with hair loss. The millet combined with the yogurt protein, lemon, eucalyptus and mint essential oils make this a highly nourishing product for both your scalp and hair – and definitely worth a try. Just one final note.. the packaging is incredible. Not only is it 100% biodegradable, but it is this wonderful material that feels really great (I know that’s a weird thing to say, but it really does feel amazing) and is perfectly squeezy. There is nothing worse than having a shampoo container that you have to battle with each morning! Overall, I think these products make for a fantastic everyday haircare routine. Naturalmente also have a range of hair styling products, including this Smoothing Solution for a very reasonable £6.25, which has made its way firmly onto my wish list! Carry around some Rosemary Essential Oil when you travel for an instant, natural pick me up when you need it most!